Created 2013 – Our customer came to us with the desire to find a solution to an everyday problem. As a woman with thick, naturally coarse hair, she discovered it was impossible to find accessories for purchase anywhere to accommodate the thickness and texture of her hair. Searching in stores and online, she realized that most accessories on the market are designed for straight, thin hair and would damage thicker, coarse hair – if they even held in place. This led her to come up with her concept for a new product. Objective: To create a hair clip tool that not only made it easy to achieve many stylish looks without stressing your hair, but that’s sanitary, durable and affordable for everyone. Most existing hair clips on the market would break easily when used to hold thicker, coiled, textured hair. She envisioned a revision of the older “banana clip,” but with a larger opening to hold and style the hair without it popping open. After reviewing all engineering possibilities with her, R&S Design created this new design using AutoCAD. The new product consisted of two hinged pieces that would clip together around the hair with a wider center opening and teeth designed to hold the clip in place, not dig through or damage the hair. R&S Design then used 3D Printing to make an accurate, durable, physical prototype that was able to be tested and reviewed for alterations within a day. No need to wait multiple days or weeks for a manufacturer to create a prototype to examine for accuracy or make revisions. The timeline from concept to production was shortened significantly, and the project was also more cost effective by using R&S Design’s in-house 3D Printing technology. Solution: R&S Design worked with her from the initial product concept and prototype stage to completion by referring her to the right manufacturer to produce a final product. 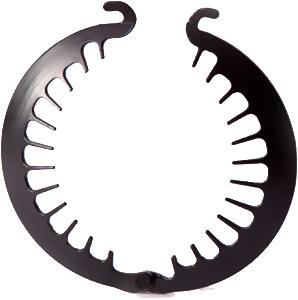 And the PuffCuff Hair Clamp (PC) was born and created from a simple idea to solve a common, everyday problem. Thanks to our extensive knowledge of CAD design and engineering, and business alliances with a number of Mold Shops, we were able to work with this entrepreneur to assist her with virtually all phases of her project and bring her idea to reality. Not only is she now the proud manufacturer and distributor of her very own product – The PuffCuff Hair Clamp (PC) – but she has already developed a new line of PuffCuff Hair Clamps in smaller sizes for kids. Congratulations, we are very happy to have been able to work with you to bring your product concept to life. 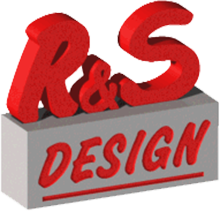 To find out more about R&S Design’s capabilities and how we can help you take your project from concept to production, please contact us. Our 3D Printing technologies will save you both time and money.